Refer A Friend: Refer a new family to Prairie’s Summer Camps, and you both save $25. Enter the coupon code 2015FRIEND during registration. Already registered? Click here to access your ACTIVE account. Questions? 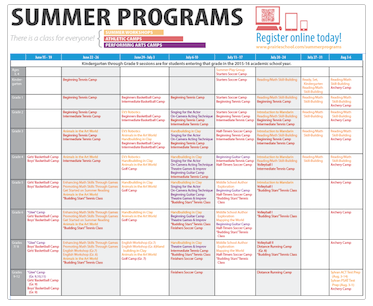 Please contact Alan Mills, Director of Summer Programs at 262.752.2680 or [email protected]. 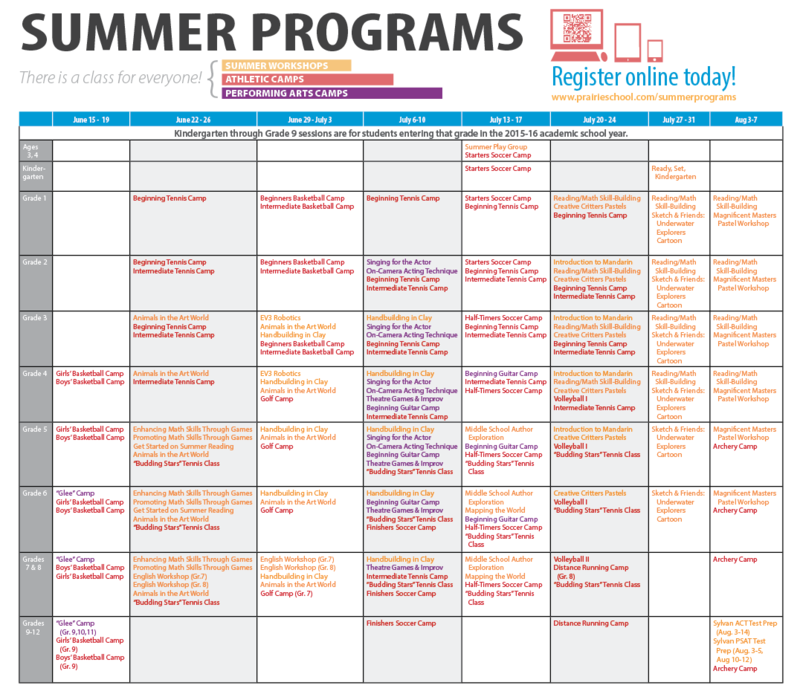 Check out our week-by-week Summer Programs chart.